This exhibition required the display of 150 pieces of architectural hardware (doorknobs, knockers, drawer pulls, etc. ), including commissioned, historic, and generic pieces. The aim of the installation was to situate all of these items in a recognizable yet estranged relationship to their intended use. The display negotiated between the objects reading as functional artifacts on the one hand and as purely formal objects on the other. Through its engagement with the viewer’s body, the display established a fluctuating condition in which the assembled pieces alternated between utilitarian and aesthetic readings. A continuous wall composed of a series of conventional doors arranged in a line and supported from aluminum struts split the already constricted space of the gallery down its center. 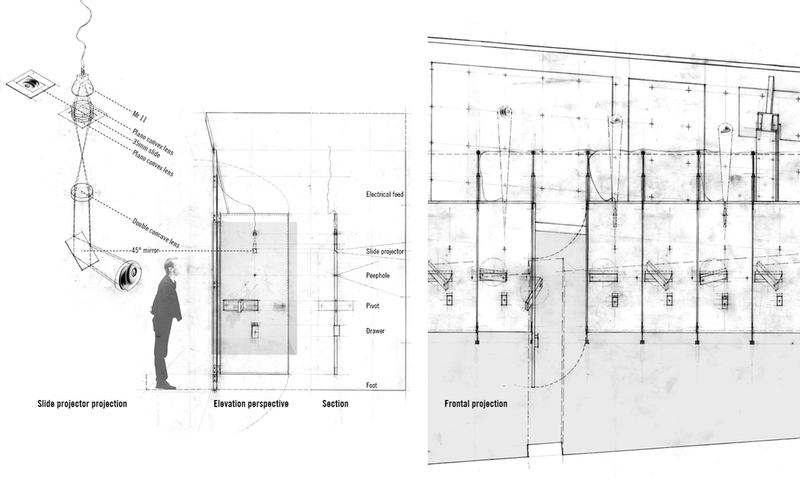 This created a tension between the wall’s role as an object for display and the conventional function of the door as a means of passage from one space to another.